Positioning and Orientation equipment- M990 (Adopt Trimble BD990) With the updating of measurement technology and with the more and more demand of the measuring accuracy. 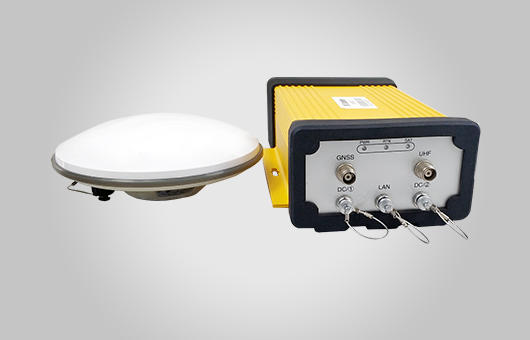 The previous GPS positioning equipment and GPS orientation equipment already cannot meet the requirement for measuring. And the higher accuracy positioning and orientation equipment is needed to replace the old ones. M990 RTK positioning and orientation equipment which is new released has the technical features with high precision, signal stabilization, wide operating range, etc. Get the favor of the new and old customers. With Trimble BD970 motherboard, the receiver M100T can support multi-satellite system which includes GPS L1/L2/L2C/L5 and GLONASS L1/L2, and reserve signals of Galileo. At the same time, it also has the Ethernet and radio data transmission, which can set,upgrade, and data transmission remotely. 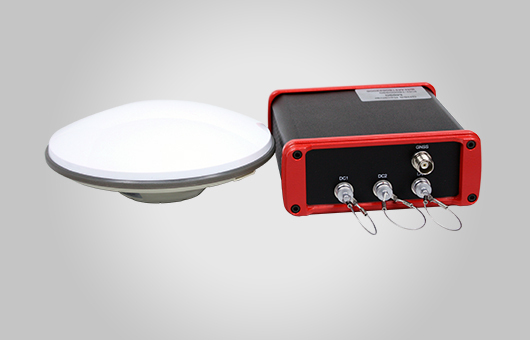 It has the standard with the 50Hz speed raw data and positioning data output, which suit for the high dynamic measurement, CORS system and the monitoring system, land surveying, engineering measurement, machine control, water measurement, weather measurement, precision agriculture and port machinery, etc. Those systems are widely used in mapping, land, electricity,transportation, municipal, universities, research institutes, troops, aerial photography industry and so on. 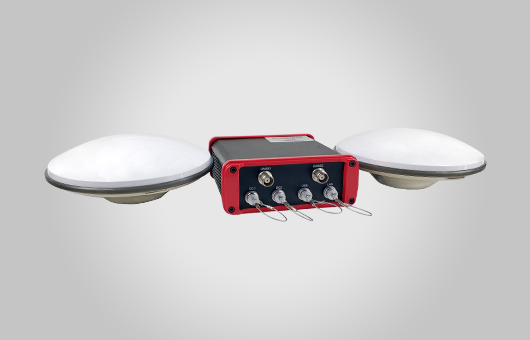 M100TT will Trimble BD982 inside is designed as the multi-purpose sensor for different kind of applications which needs high accuracy positioning and heading. With the unique design and the powerful integration ability, M100TT provides the solutions on different kind of moving carriers such as vehicle, ship, harbor construction machine, aircraft, radar and other high accuracy requested projects. 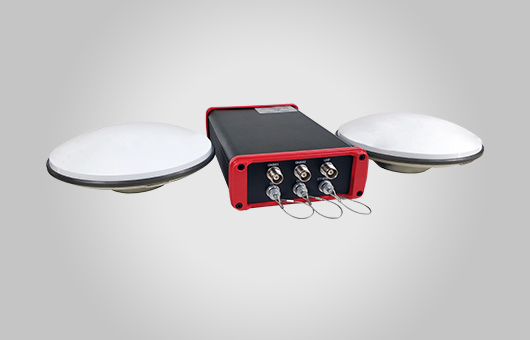 Dual Antenna Input Design By integrating two antennas in one compact box, the M100TT could get the high accurate positioning and heading in the same time. 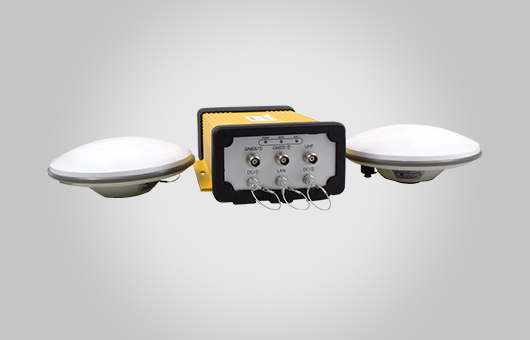 The external dual GNSS antenna input design makes the receiver easy and safe to use in different kind of environment just by putting the antenna in a clear place. 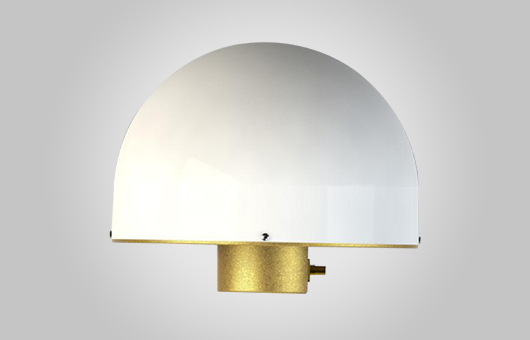 Take the advantage of the design, the M100TT is the ideal sensor for various applications. For the heading applications, the M100TT make the user save a lot comparing using two GNSS receivers. • Using multi feed point design to ensure the superposition of phase center and geometrical center which could minimize the influence of measurement error to lowest range. • Antenna unit gain is high, the direction of the beam width, to ensure that the low elevation signal to accept the effect, in some block more serious occasions can still receive satellite. • With anti-multipath choke plate, effectively reduce the impact of multi-path on the measurement accuracy. 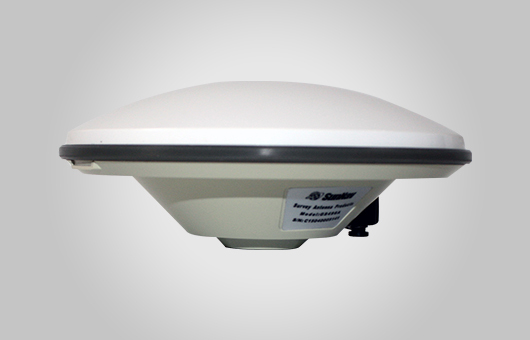 • With waterproof, anti-UV cover, for the antenna to provide long-term work in the field to provide protection. Four-arm helical antenna series covers single-frequency, dual-bland single-frequency dual-band, dual-bland dual-frequency,multi-bland multi-frequency and other combinations, with a variety of OEM board to meet the needs of high-precision measurement equipment Widely used in high-precision mapping and military positioning, widely used in unmanned aerial vehicles, geodesy, road construction,marine survey, terminal container operations,combat exercises, border guards and other occasions. The choke measuring antenna meets the needs of high-precision measurement and multi-system compatibility for measurement equipment. Widely used in CORS stations set up, land surveying, seismic monitoring, monitoring of landslides, bridges and other high-precision measurement of deformation monitoring applications. 3D choke antenna to meet the needs of high-precision measurement equipment and multi-system compatibility. Widely used in CORS stations set up, land surveying, seismic monitoring, monitoring of landslides, bridges and other high-precision measurement of deformation monitoring applications.